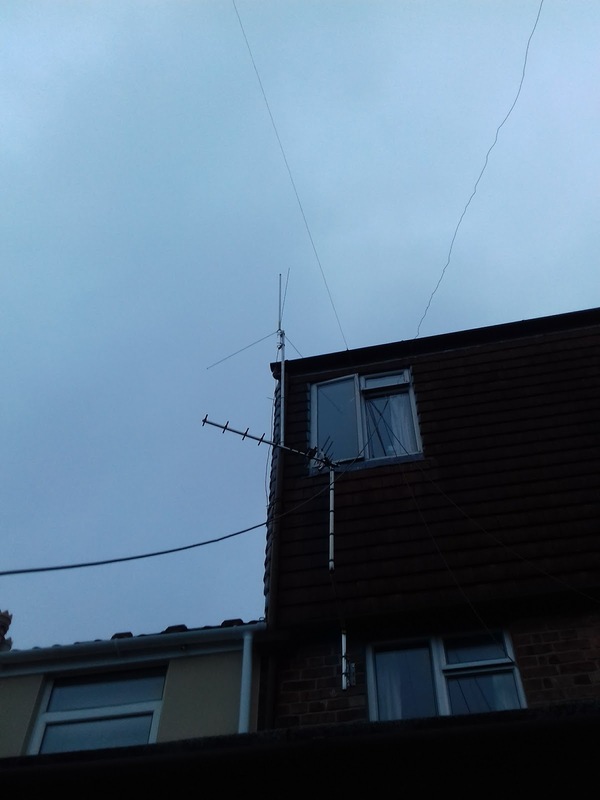 Been after a quad band aerial to compliment my Yaesu FT-8900 for some time but been unable to find one. However, happened to be flicking through the adds in PW and came across the MEQBC 10/6/2/70 aerial. This had good reviews and as it it my Birthday this week my Wife purchased on for me. I purchased this from Mirfield Electronics. It arrived well packed and like a school boy I could not wait. It was easy to assemble with only three long radials. It is only just longer than my W-30 so it is up above the shack. First results are very good with good swr over all bands. Only slight problem is rf pick up from some computer equipment. Hopefully this will reduce when, given some better weather will be mounted slightly higher.